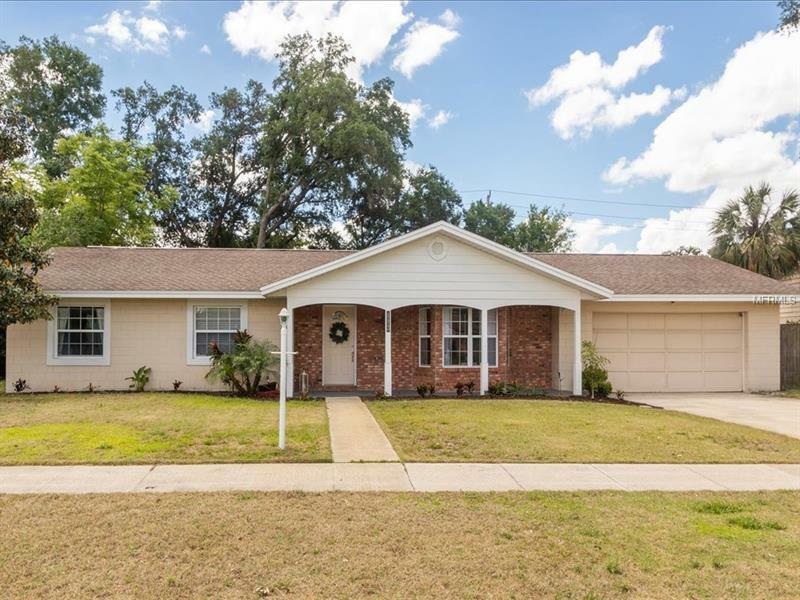 BEAUTIFULLY UPDATED AND RENOVATED 4 bedroom 3 bath pool home on 1/3 acre with NO HOA! A rare find! Sparkling SOLAR HEATED POOL is open to fenced yard plus HUGE COVERED PORCH and WOOD DECK WITH PERGOLA. Amazing outdoor entertainment possibilities! You will love the open living space with RENOVATED KITCHEN (2000) featuring Corian counters, spacious bar and tons of cabinets plus all the appliances are included! Dining room will fit the largest table so invite all your friends for the holidays! Beautiful ENGINEERED WOOD in the family room plus bay window. Gorgeous master suite (built 2000) features 2 closets, laminate wood floors, FRENCH DOORS to the covered porch plus dual sinks, walk in shower and JETTED TUB. New carpet and laminate floors in the guest rooms. RENOVATED POOL BATH and GUEST BATH (2017) with new vanity, granite counters, fixtures and showers. Oversized 2 car garage. Great home in a great location and ready to move in NOW!